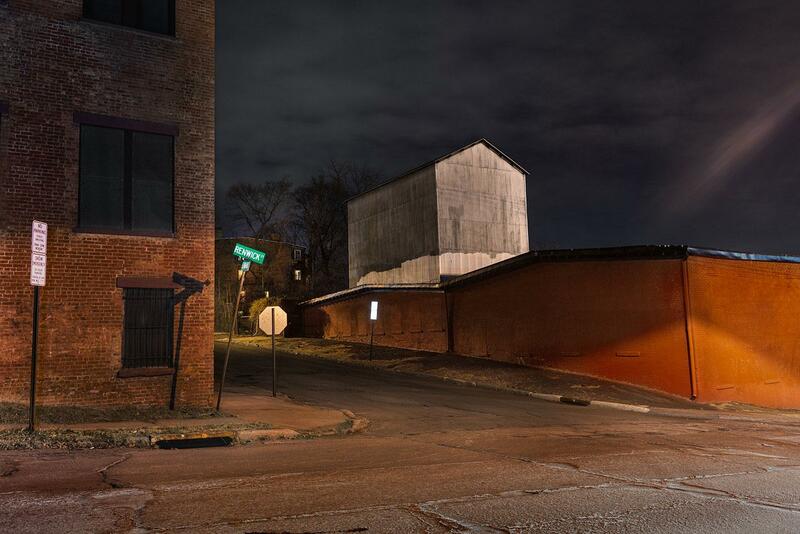 Lynn Saville’s Dark City: An exploration of urban landscape around the United States at night (PHOTOS). 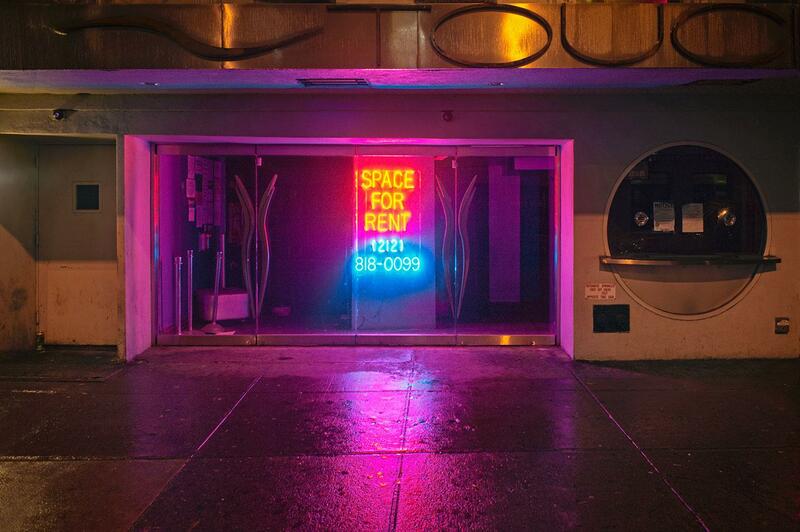 Neon Sign, West 50th Street, New York City. Photographers often speak about the joys of shooting during the “magic hour,” typically an early-morning or late-afternoon moment when the world seems surrounded by a soft, golden hue. Lynn Saville knows this time well, although her definition of it extends even earlier to when the first bits of light come up in the morning and even later when the last ones fade into night. It’s during these moments when Saville, often armed with a digital medium format camera (she also uses an SLR) documents these lonelier moments. 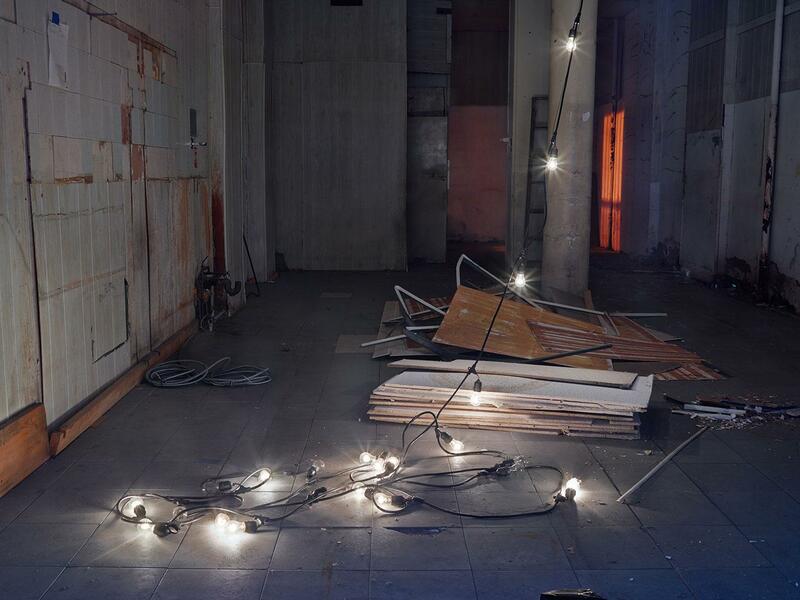 Her recent collection of this work, Dark City, will be published by Damiani in October. Saville said some of her earliest memories of nature’s magical ability to play with light occurred as a child when her parents took sabbatical in Italy and she crossed the Atlantic with them by boat. 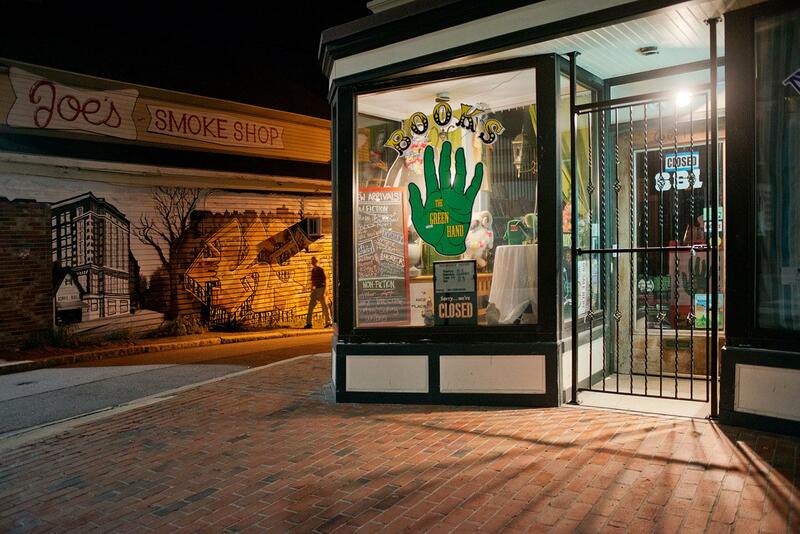 The Green Hand, Portland, Maine. That’s not to say that Saville isn’t inspired by urban environments as well. 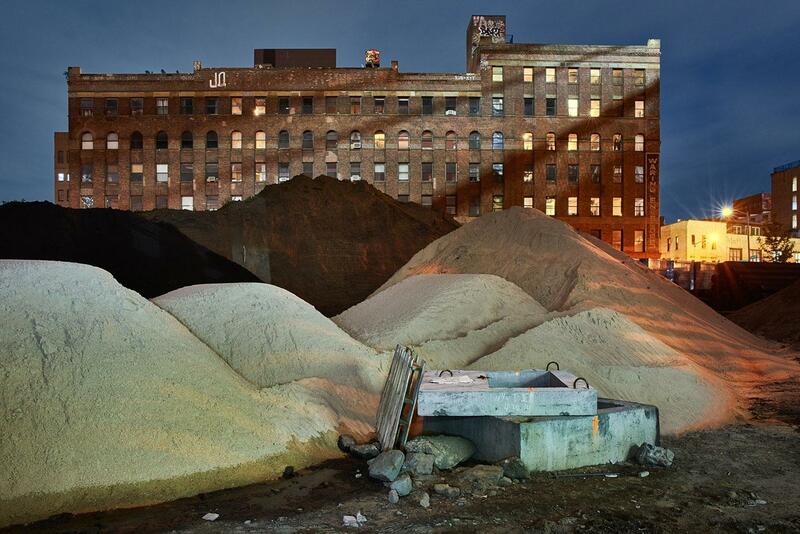 She has been a prolific documentarian of New York City at night and has published two monographs on that subject, Acquainted With the Night and Night/Shift, the latter focused on the beautiful, almost eerie, and unique juxtaposition of New York’s artificial lighting set against the dark sky. String of Lights, Harlem, New York City. 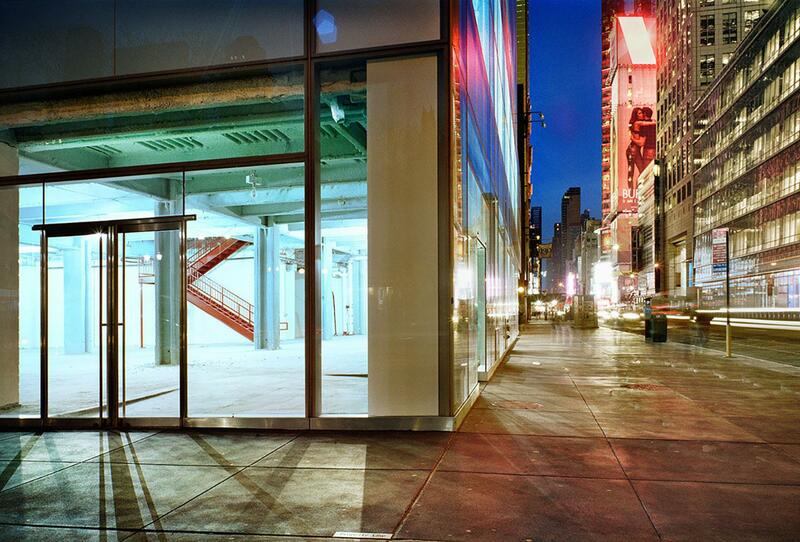 Empty Store, 42nd Street and 6th Avenue, New York City. While she visits other cities, she also relies on local guides who help take her to places that might be of interest. This collaboration has a greater urgency since Saville doesn’t have much time to work. 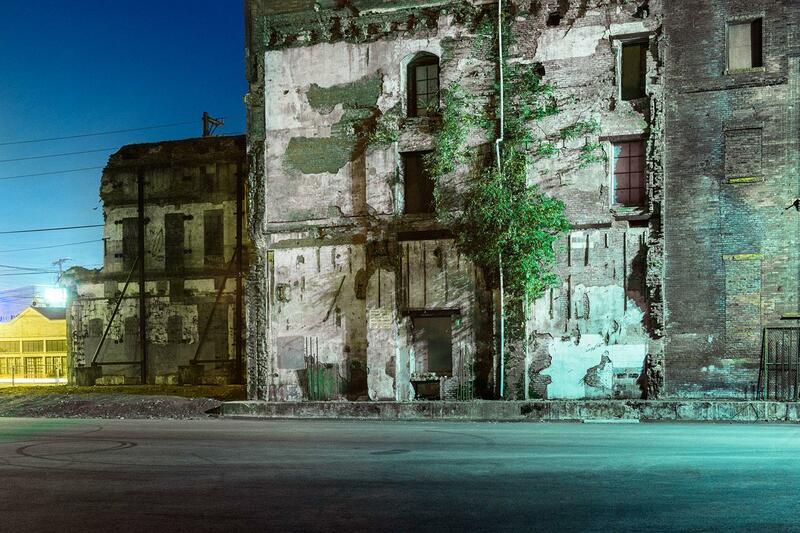 Detroit, for example, proved tricky because while there were many vacant buildings, the streetlights—if they even came on—weren’t always available to create the light she needed so she was forced to use other means of illumination such as the headlights of the car. Saville said that her goal when focusing on the empty stores that feature prominently in Dark City wasn’t to create work that would be seen as sad; she wanted to look at them from a more abstract point of view. 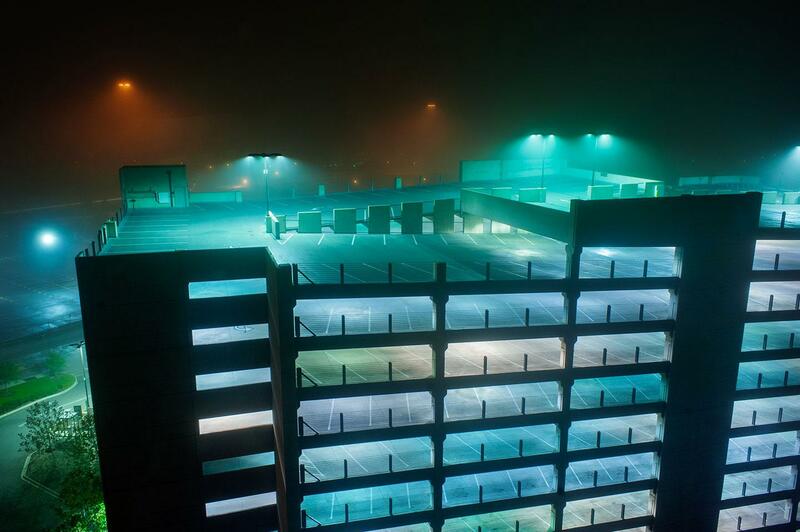 “Dark City,” a retrospective exhibition by Saville is on view at Pratt Institute’s photography gallery in Brooklyn until Oct. 2, with a closing reception and gallery talk with Saville on Oct. 1. Park Construction Under Manhattan Bridge, Brooklyn, New York City.